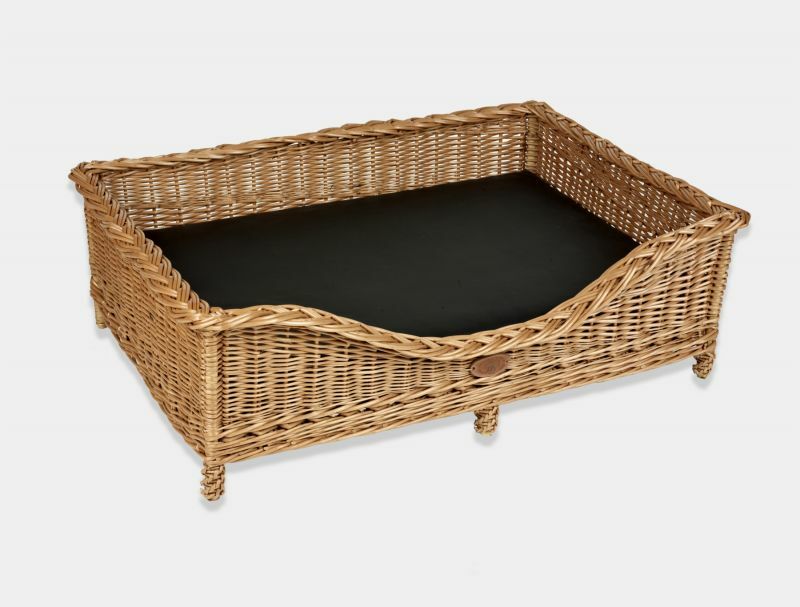 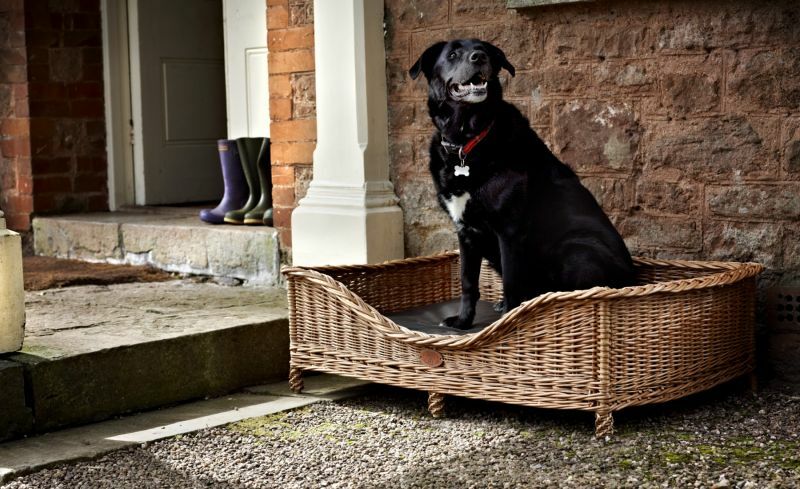 This gloriously handmade Luxury Dog Bed shown here in the timeless buff willow finish has an ornately plaited border and gracefully woven legs. 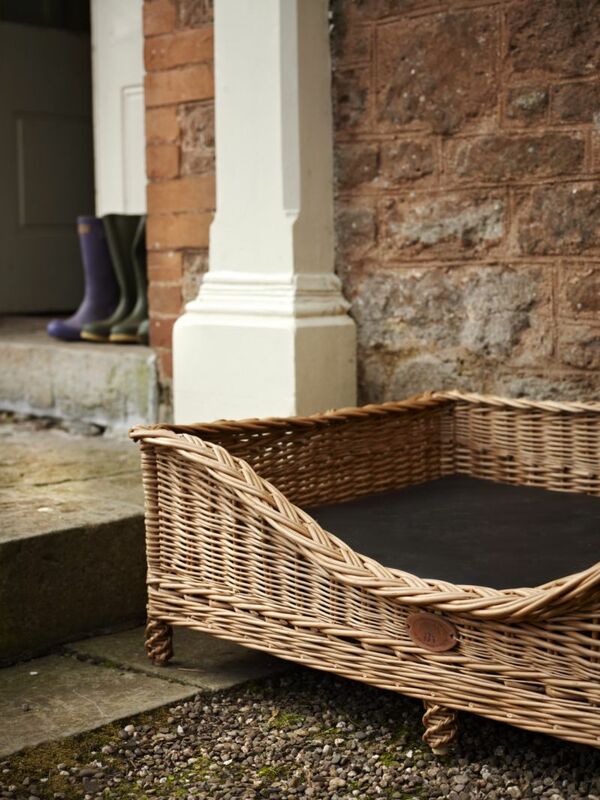 The basket comes with a striking black leather mattress. The Luxury Dog Bed is a refreshing retreat for any dog or pet.